IKO Bearing Company, with manufacturing facilities and headquarters located in Japan, products needle bearings to its customers worldwide. IKO Bearing Company has recently launched the “Linear Motion Rolling Guide Series”. 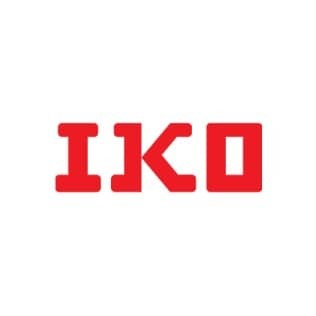 IKO Bearing Company provides products to the following customers: automobiles, motorcycles, industrial machines, machine tools and electric equipment, to name a few. IKO Bearing Company is capable of servicing customers of any size and reaches a wide variety of different industries and applications. IKO Bearing Company is an innovator in technical developments on the needle roller bearing and now is a prominent manufacture with customers worldwide. IKO has lately launched the “Linear Motion Rolling Guide Series”. IKO Bearing Company serves a variety of industries and customers including: automobiles, motorcycles, industrial machines, machine tools and electric equipment and many more. IKO Rod End Bearings is the ideal choice for machines in which oil must be avoided such as food processing machines or machines that cannot be re-lubricated. IKO Spherical Plain Bearings have a wide application in industrial and construction machinery and are known to be low maintenance. IKO offers a Linear Motion Series to meet the needs of sliding mechanisms in various applications. IKO Bearing manufactures IKO Cam Followers, IKO Crossed Roller Bearings, and IKO Needle Bearings. In addition, IKO Bearing Company is able to provide service to a variety of industries and applications. Dalton Bearing is here to service your IKO Bearing Company needs.